Classes will cover how to develop a budget, make plans to pay off any debt, and learn how to live on what they make. Computer Basics I- Start at the very beginning and gain an understanding of the basic parts of the computer. Learn how to use a mouse, improve your typing skills, and learn how to create folders and saving files. 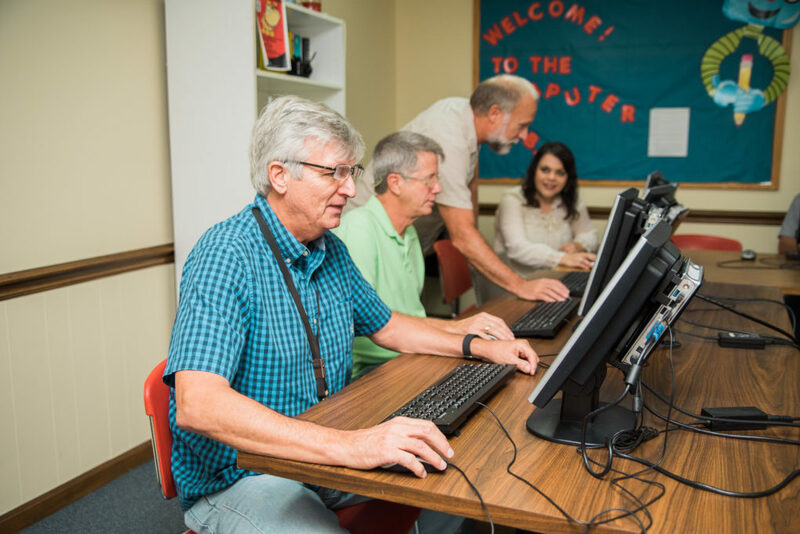 Computer Basics II – This class will focus primarily on using the internet and e-mail. It will be helpful to have completed Basics I before taking this class or any of the Microsoft Office classes. Microsoft Excel- The class is for students who would like to learn the essential functions of Microsoft Excel 2013. This includes entering data, using formulas, working with constant values and formulas, formatting worksheets, modifying columns and rows, editing workbooks, printing worksheets, and more. Microsoft PowerPoint-This class is designed for students who wish to gain the foundational understanding of Microsoft Office PowerPoint 2013 that is necessary to create and develop engaging multimedia presentations. Students are required to take a practice test before attending classes. Students meet one-on-one with tutors to learn and practice the skills necessary to pass the GED/HISET. Literacy classes that help students improve their reading skills. Classes are ongoing, and a student is welcome to attend until they reach their personal goal. We strongly believe in the power of music which is why we offer music classes. We currently offer two separate music classes; guitar lessons and weekly informal jam sessions. The Family Center hosts classes that will cover appropriate discipline, partnering with your child’s school, and appropriate roles models; among other topics. Classes last for 8 weeks. The sewing class is for women in our community to learn how to sew items for themselves and for their families while also developing relationships with other women. We also offer special area classes periodically which include but are not limited to Crock-Pot cooking, couponing, computer repair, acoustic music and home life skills. These classes can change monthly.